The San Francisco Municipal Transportation Agency unanimously approved a pedestrian and bicycle improvement plan today that will span 20 blocks of Polk Street. The project drew dozens of San Francisco residents, including bicycle and pedestrian advocates supporting the project and residents and businesses concerned about the loss of parking and vehicle access. Numerous cyclists who spoke during the public comment period said they felt scared traveling on Polk Street and urged the board to approve a protected bike lane in both directions. 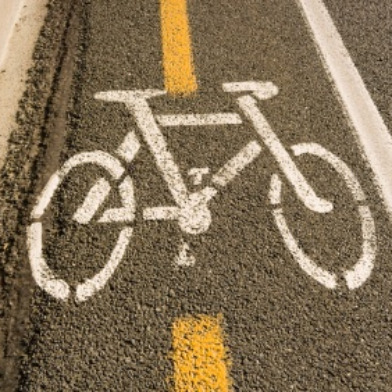 The plan approved by the board today includes bike lanes that are not completely separated from traffic. 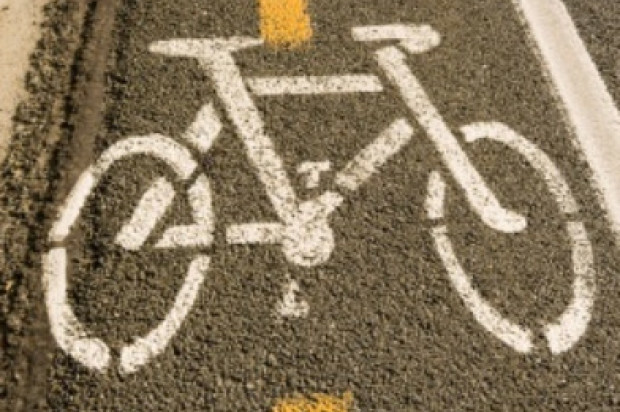 However, many individuals, especially bicyclists, spoke in support of a proposal from SFMTA board member and vice-chairman Cheryl Brinkman for separated bike lanes running the entire length of the busy street. “Bike commuters deserve a safe route,” Brinkman said, especially for those who commute at night. “I don’t want us to be hypocritical,” she said, saying the board needs to remember its commitment to Vision Zero. “I don’t want us to say parking is more important,” she said. The board did not include separated bike lanes in the proposal it voted on but decided to get further information and consider it again in the future. San Francisco Bicycle Coalition executive director Noah Budnick said that when the city adopted Vision Zero, and vowed to work toward zero traffic collisions in the city by 2024, they promised to adopt infrastructure that would protect cyclists from injury and death and that the opportunity to do so was here. Budnick, who led a moment of silence for 66-year-old San Francisco resident Charles Vinson, who was struck and killed by a car while riding his bicycle Monday afternoon in the Mission District, said the coalition supports the implementation of the Polk streetscape project as well as the adoption of Brinkman’s proposal. According to the SFMTA, over a five-year period there were 122 collisions involving pedestrians and bicyclists on the Polk Street corridor. SFMTA officials said that most collisions are not the fault of people walking and bicycling, but of drivers. The proposed Polk Street plan includes high visibility crosswalks, pedestrian signals, sidewalk bulbouts, protected turning phases for vehicles and improved signal timing. Bicycle safety improvements include protected northbound bike lanes from McAllister Street to Pine Street and a southbound green bike lane, which is unprotected, from Union Street to McAllister Street. Many drivers spoke up at the meeting as well, urging the board to move the project to Van Ness Avenue and expressing their concern that the loss of parking spaces and loading zones due to the project could hurt businesses on Polk Street. SFMTA board member Joel Ramos, who said he regularly commutes via bicycle, said “we need to be creative.” He said he wants to see more car-share pods and increased access to parking structures in the area to help those who need to access cars. San Francisco Supervisors Julie Christensen and Jane Kim both spoke today in favor of increased bike and pedestrian safety infrastructure along the corridor. Christensen said it’s important to remember that this is an infrastructure project that will improve sewers and streets that are in need of repairs and that it is a great opportunity to improve pedestrian safety. Both supervisors said there are dangerous intersections along the corridor with fast-moving traffic that need to be addressed. The supervisors recalled the death of 6-year-old Sofia Liu, who was struck and killed by a car along the corridor while walking with her family. Kim said she is “an enthusiastic supporter of the plan.” Speaking as a beginner cyclist, she said that without protected bike lanes, she probably wouldn’t visit Polk Street on her bike. Nicole Schneider, the executive director of walk SF, a pedestrian advocacy group, urged the SFMTA to get paint on the ground and make these changes to infrastructure as soon as possible.